Klokers is the newest brand to come to Ace. 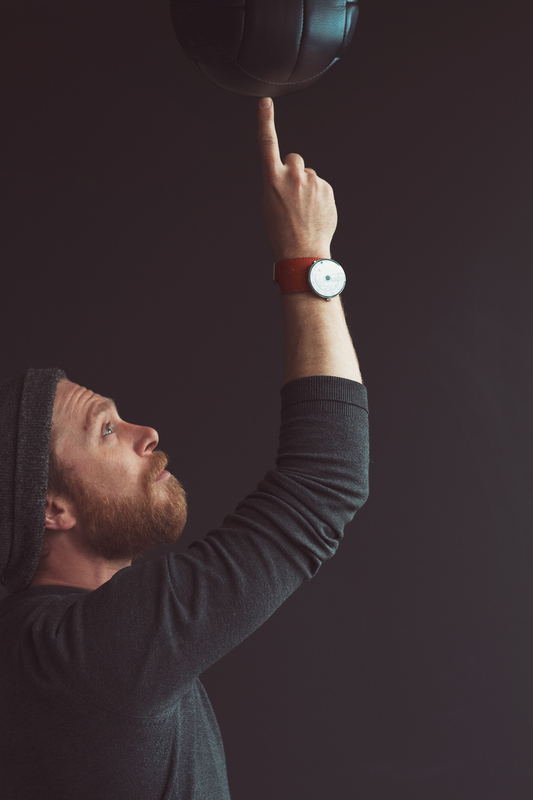 Klokers brings a new way to tell time to the world of watches. Klokers doesn't try to compete with the abundance of watch brands that have already mastered the art of telling time using three hands. Klokers is more than that. 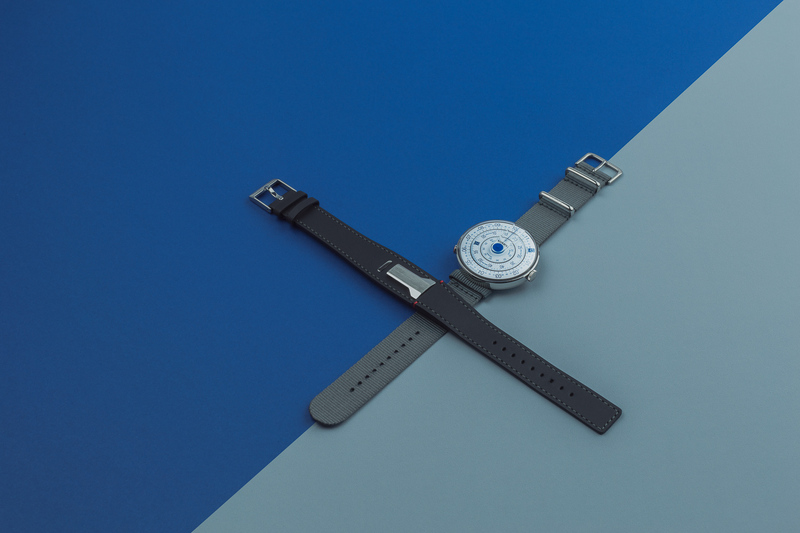 Their innovative dial design is efficient and tells a fascinating story. I got to meet with one of the founders of Klokers, Richard Piras, at a press event at the Hoxton here in Amsterdam. "Machines to travel through time," is the tag line of the brand. "Millennials these days are constantly busy with their phones, many people don't even wear a watch anymore because they are just happy to use their iPhone. 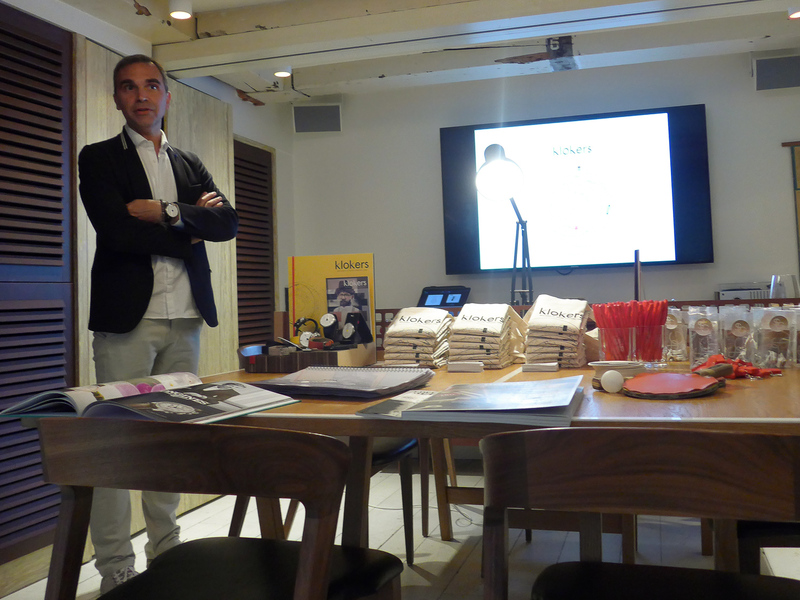 Klokers is about reinventing the way people read time," explained Richard Piras. Q: Can you tell me more about your background? What about the other founder Nicholas? A: "I have worked in the luxury watch industry for more than 10 years. I've worked as a brand manager for high-end luxury brands, you know where watches cost more than EUR50,000. This is not what Klokers is about. 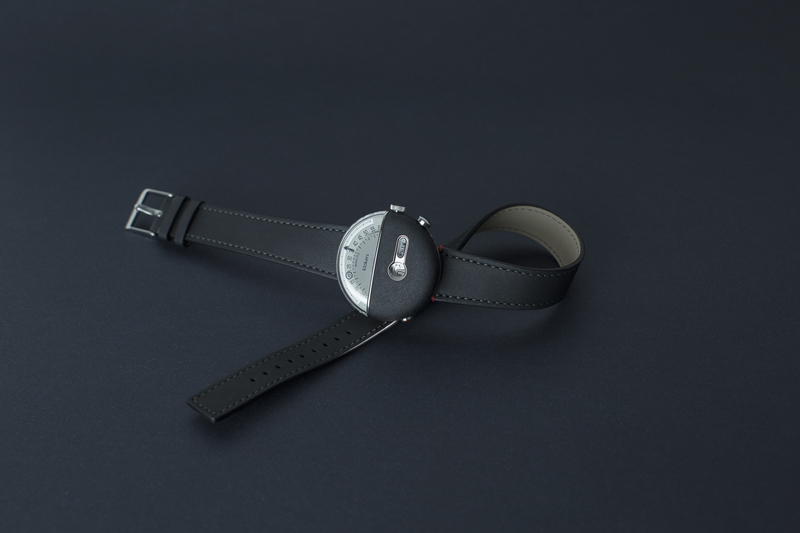 Klokers is about bringing a cool, innovative and fun way to read the time at an accessible price point. Klokers allow people to be who they want to be without being pretentious. The other co-founder is Nicholas Boutherin. Nicholas' is the creative director. His background is in the creative industry- he's worked as a cartoon artist, for Canal+, and also in high end luxury furniture manufacture. Nicholas really came up with the concepts for both KLOK-01 and KLOK-02, and I manage the business side of things." Q: Kickstarter is a very modern way to raise funds for a project. What made you decide to launch the Kickstarter campaign? A: "We decided to launch our Kickstarter campaign as a trial. We had nothing to lose and more than anything, it was a really easy way to get the Klokers brand name out there. We had originally pledged to get EUR50,000 but raised EUR605,898 via 1,563 backers. The thing about Kickstarter is that we were able to use it as a platform to really tell our story through videos, images and the timeline of our brand." "We have only been working on this brand for two years. In September of 2016 we delivered all of the first models KLOK-01 from our Kickstarter campaign. We are growing very quickly and now have already more than 20 people in the company." 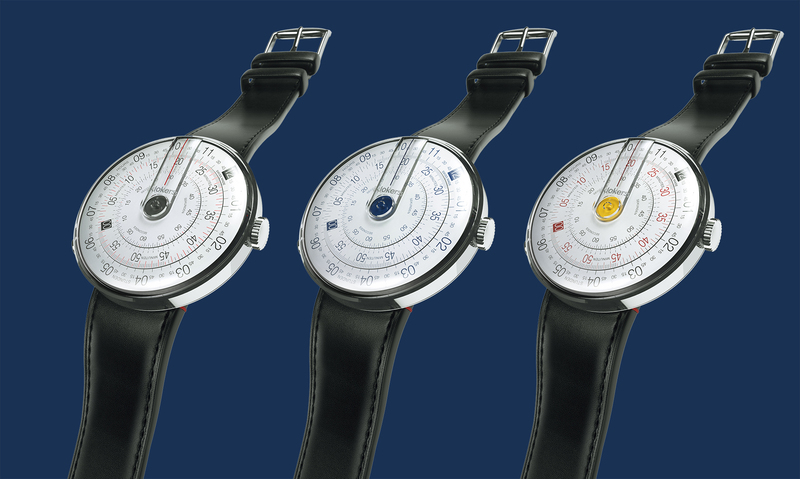 Q: What really sets Klokers apart from other watch brands is the clear use of inspiration from the slide rule as well as the 24 time zones for the dial design. Do you have any more new dial designs in the works? Was there perhaps inspiration that you did not use? A: "Yes, we are constantly working on expanding our portfolio. Right now we have two product lines, the KLOK-01 and the KLOK-02. We want to develop a third range. there were a couple of options, one of which we already scraped. By 2020, we will have a lot of new innovative timepieces. We are working on developing more feminine designs and also playing with scale." Q: Are there any plans to make a mechanical watch in the future? A: "Definitely. When we first started designing Klokers, we didn't have watch collectors in mind as the target market. 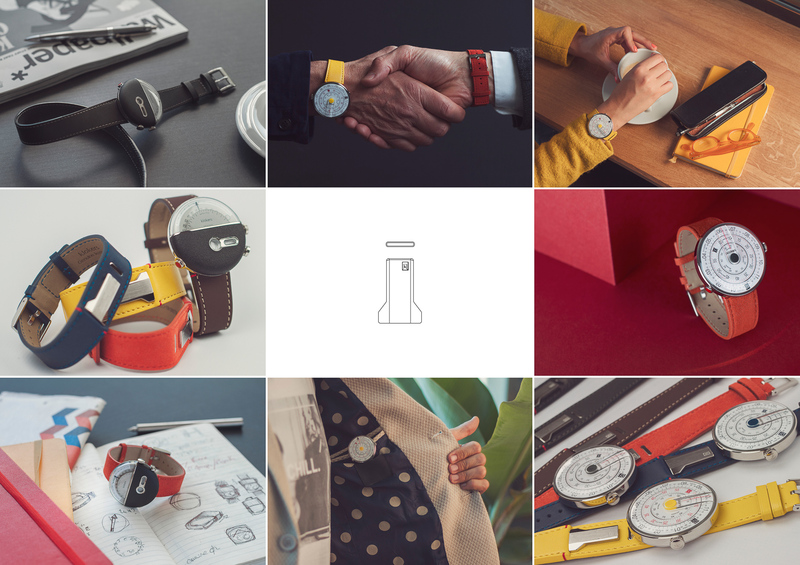 We really wanted to make an interesting and functional timepiece for real, creative people. Klokers has caught the attention of a lot of watch collectors though. I'm a watch collector myself, so I would also really like to have one personally. We're hoping to add a mechanical watch to the collection by 2020." Klokers will arrive in store at Ace & Dik Jewelers on Monday, June 26th. Shop the Klokers collection online here.